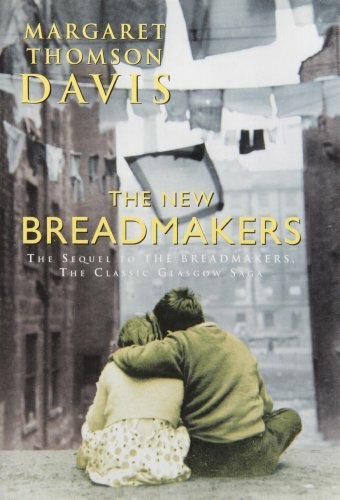 The sequel to THE BREADMAKERS SAGA<br />Having survived everything that the Depression and the Second World War has thrown at them, the people of McNair's bakery are now facing an uncertain future. With the Coronation of 1953, a new age is beginning, and all is by no means well in the lives of the bread-makers. Catriona McNair's husband is making her life a misery; her friends Julie and Sammy have been involved in a search for a long-lost daughter; Alec Jackson, the happy-go-lucky reformed philanderer, finds himself caught up in one of Glasgow's worst tragedies; and the youngsters are challenging convention in the name of romance. Dorothy Meyer - Bookseller was established in 1987 offering collectible and out of print books. We offer a full line of general stock with an emphasis on Americana, World History, Children, and Military. We are careful in describing the condition of the book and the dust jacket. All books are subject to prior sale.